SOLD, SOLD, SOLD!! 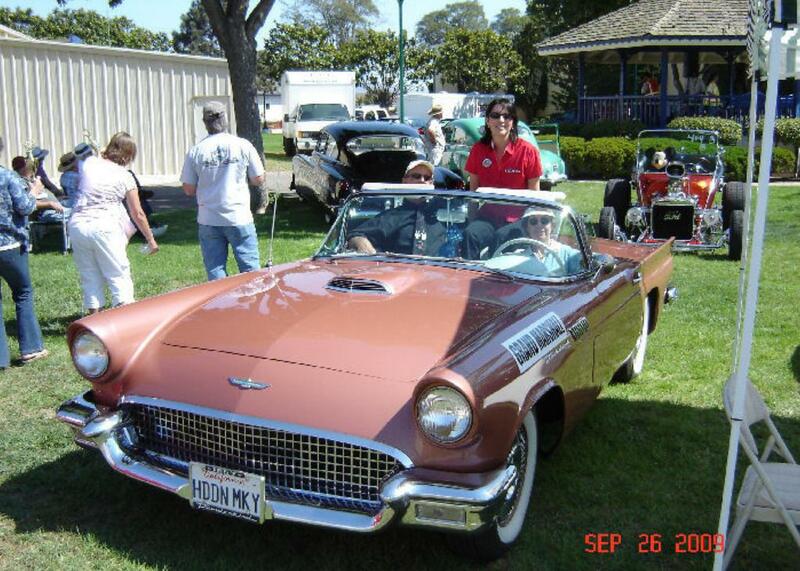 1957 Ford Thunderbird is "Thunderbird Bronze" in color, it was Ford's experimental metallic paint. There were only a handful made in this color, agnd it was the only model to get metallic paint in 1957. The car has a White Removable Hardtop with that classic Porthole, as well as a White Convertable Top. It's a very clean older restoration that still looks great, still a winner at most Car Shows. It is all original with it's 312 V-8 Engine, and ford-a-matic Automatic Transmission It's lots of fun to drive, very smooth, and straight as an arrow. The car has been primarily used in Car Shows, Parades, and the occasional outing.